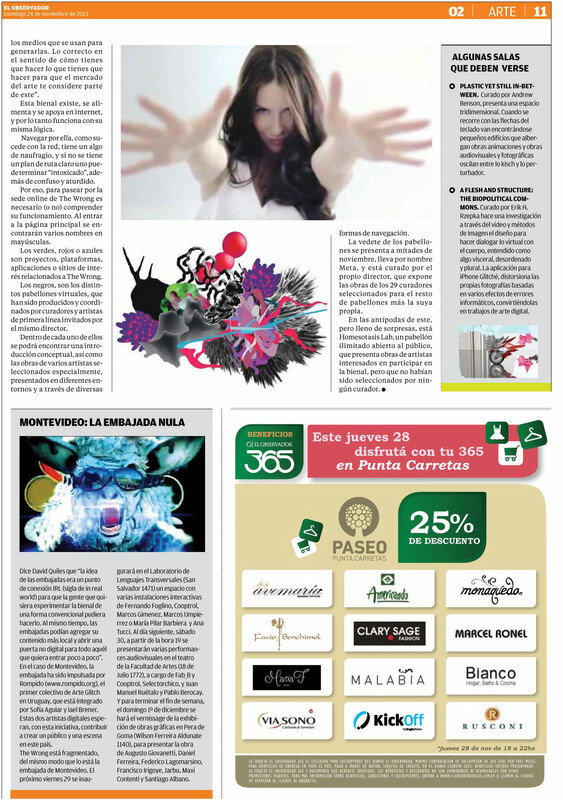 "Kisik Acimowina" video still featured in Uruguay's "El Observador" article on The Wrong - New Digital Art Biennale"
Kisik Acimowina – by Carrie Gates, Jason Baerg, and Michael Red from Carrie Gates on Vimeo. . . : J = .. : t • – i \ … . . . . ,: • • ; i1i11 .., – rj · · :: ~ j . . .
generaci6n of a digital rte . 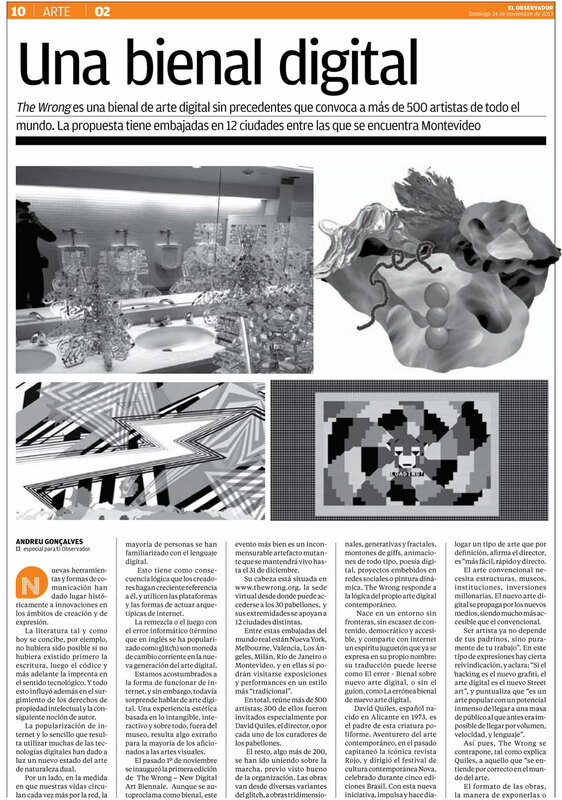 surprising that talk of digital art . dinan1ica social networks or painting. back to digital rte . the father of this creature polymorphic . is ” easier, faster ydirecto . rn to 16gica ism . to confuse and aturclido . the mo my head . by Lael Aguiar and Soffa Brener . The wrong is fragmented . Manuel Pablo Ruetalo and Berocay . Contenti and Santiago Albano . J = ‘ . Expiring Senchtmol o ..